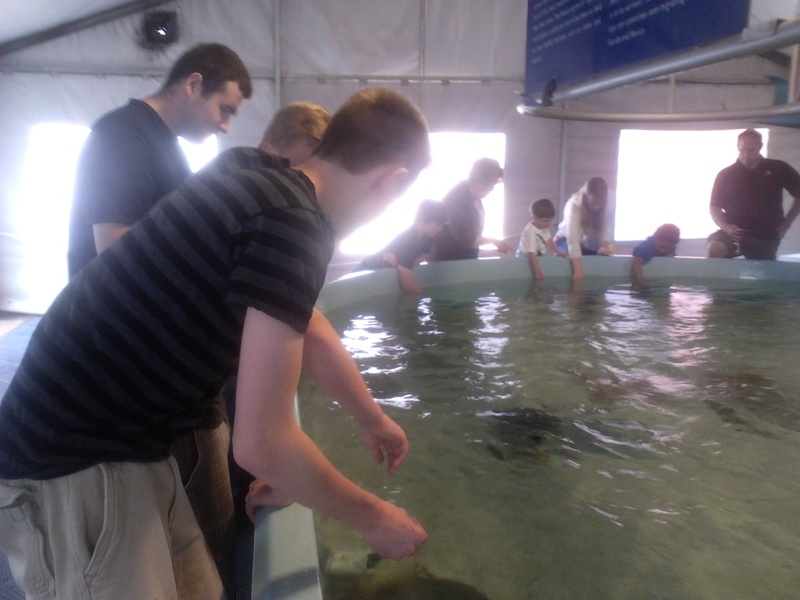 Recently we went to the Mystic Aquarium on a field trip. My favorite parts of the field trip were when we saw the sea lion show and looking at the beluga whales. I liked the sea lion show because they were really cute and they did cool tricks. 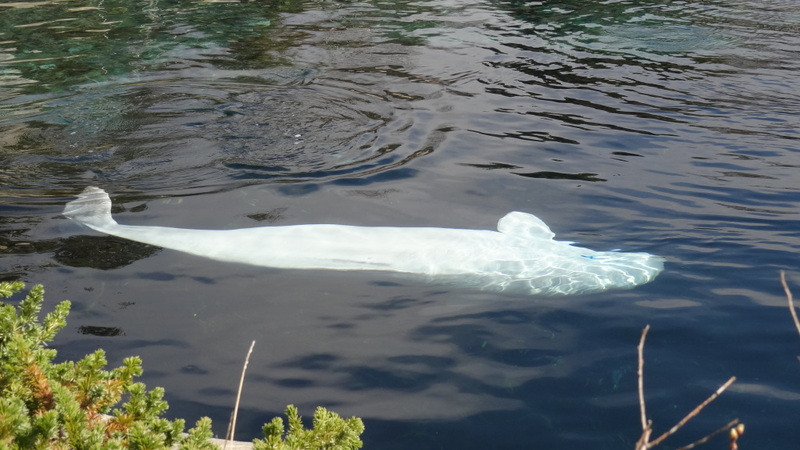 I also liked the beluga whales because they were cute and i want to swim with them. I also liked looking at all the fish in the indoor exhibits. The fish were all different colors and really pretty. I liked seeing all the different animals. I also liked the exhibit where you can touch the sting rays. I did not touch any because i am scared of them, but it looked like fun. My favorite part of the field trip was observing the jellyfish. The way they were presented was so beautiful and they look so pink that it made them not even look harmful. The best jellyfish there was the large ones because they reminded me of flowers. The jellyfish that sat on the bottom of the tank were cool because I never knew that these existed. Yesterday was the first time that I saw jellyfish and they were amazing! On the other hand, the sea lions were so great. They looked like the cat of the ocean. I never knew that these creatures could grow up to 700 pounds and swim up to 30 miles per hour. When we were inside the aquariums, I actually observed them underwater and one swam right in front of the window! I enjoyed this field trip very much. My favorite portion of the aquarium was the outside because each creature had a different habitat just like in the wild. The problem I had was I wanted to see more animals, like large sharks but they didn’t have any. The show was impressive but Cocoa was too interested in the food than performing. It made me learn a lot about sea lions. I thought this trip was the best field trip I have every been on! At the Mystic Aquarium in Connecticut, I saw an abundant number of marine animals, all of which were very interesting to observe and to take pictures of. 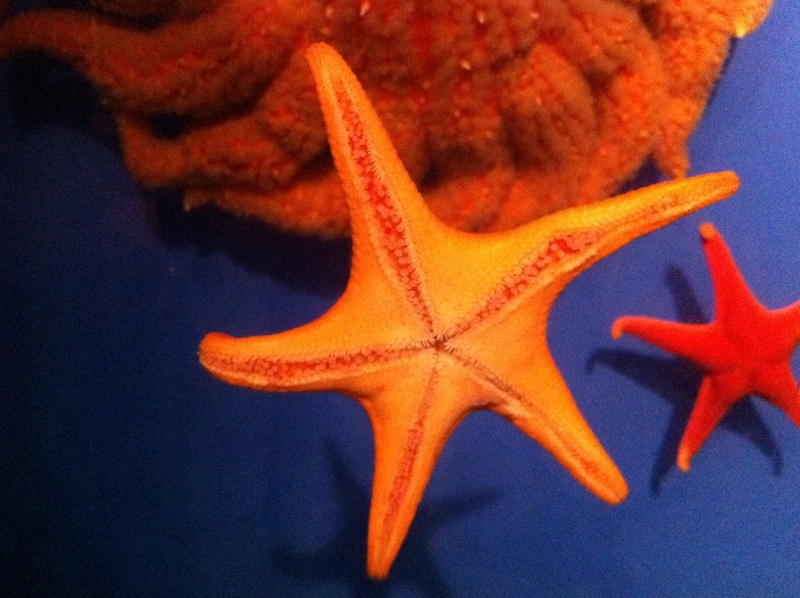 Many of the sea creatures provoked feelings and emotions from me. 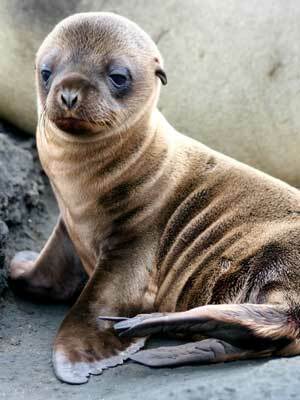 The animal that provoked the most response and the most feelings from me were the California Sea Lions. They intrigued me greatly, probably because they were the most captivating and entertaining to watch. they were giant and very amusing to watch. The feelings that the California Sea Lions provoked from me were intense. The feelings that I experienced was the senses of calmness and relaxation, as they were swimming fastly but gracefully under the water, but as the came out onto the rocks and started speaking, I felt the intense feeling of amusement, awe and excitement. I felt that we made a great decision to go to the Aquarium. I liked the Auditorium and the outside exhibits most. They spaced out the exhibits perfectly. I would recommend schools to go there for field trips. One thing I would change about the whole experience was I would ask the Aquarium to get rid of the seagulls swarming around the eating area. 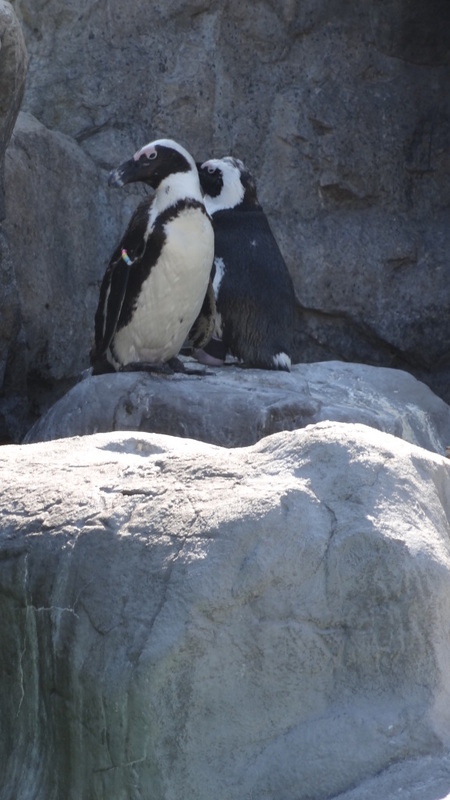 On the field trip to the Mystic Aquarium, one of the most interesting creatures to see outside in March were the 27 African Penguins. It must have taken a lot of adapting for the warm weather penguins to adjust to New England weather. All of the best exhibits at the aquarium were outside, including sea lions, otters, and whales. The tanks were very big, but I still feel badly for the animals living in a tanks. I also wondered if they stayed outside all year in enviroment different to their own. 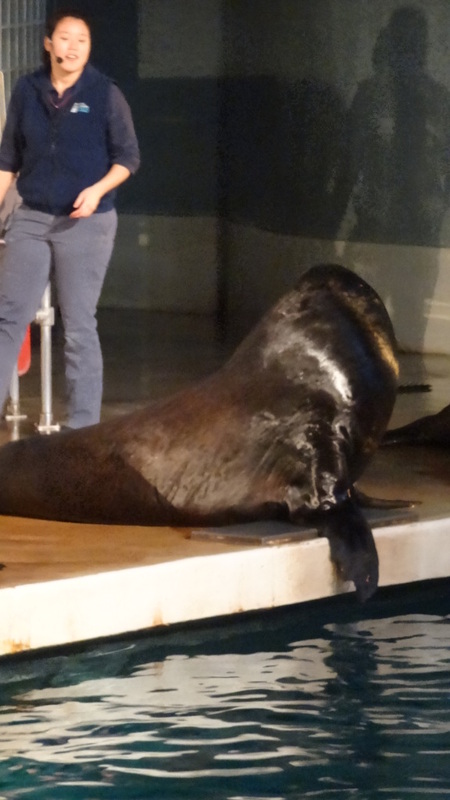 In the Sea Lions show, we watched displayed the intelligence of these animals. They could recall shapes, respond to words, jump around and call out to the crowd. In Jelly Fish exhibit was another must see at the Mystic Aquarium. A dark room full of lighten up tanks of jelly fish were really cool to see. They varied in size, shape and color as the light reflected off them. This enviroment was an intresting way to see the uniqueness of the animals. After a very long bus ride to Connecticut, we arrived at the aquarium. We drove all the way to Mysti c Connecticut from our school in northeast Massachusetts. After walking around and checking everything out all day, we had learned a lot and seen tons of stuff. Thanks to the aquarium employees, who seamed to be talking your ear off every time you turned around, we learned about every single thing we saw. After an hour of wandering around we found ourselves in the hard bench seats of the auditorium. There was a full audience and a deep pool set up where a stage might usually be. We watched a sea lion show in these seats and it was very impressive. Sea lions are very smart animals and they were probably the most impressive animal we saw all day. Besides the acribatic tricks they preformed, the trainers gave us tons of information on the animals. I thought it was very interesting to learn sea lions are actually pretty close to humans, and have many of the same traits. There are even some strangly close features such as the sea lions bones in what would be its arm and hand. The sea lion has several bones that make up five fingers. This is one of the many interesting parts to the sea lion that make them one of the smartest animals in the world. We watched the sea lions look a row of shapes and be able to find and choose the shape it was set out to find. I think most found the quick swimming and 8 feet of air they got when flying out of the air but the intelligence side to them is also interesting.